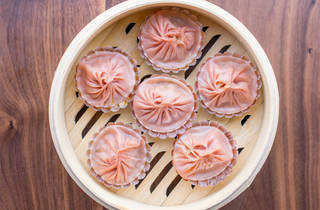 Dumpling Time, the latest venture from the Omakase Restaurant Group (Omakase, Okane), is open six days a week in SoMa's design district. And yep, it serves up delicious dumplings all the time. From behind a glass wall, eager diners can watch Chef Do Leung as he expertly crafts made-to-order dumplings, gyoza and dessert buns. While the sake, wine, and beer menu is a local-packed list of our favorites (think Sapporo and Anchor Steam), Dumpling Time is really all about the food. Buns come in five classic Chinese and Japanese varieties, filled with either meat, fish or vegetables. 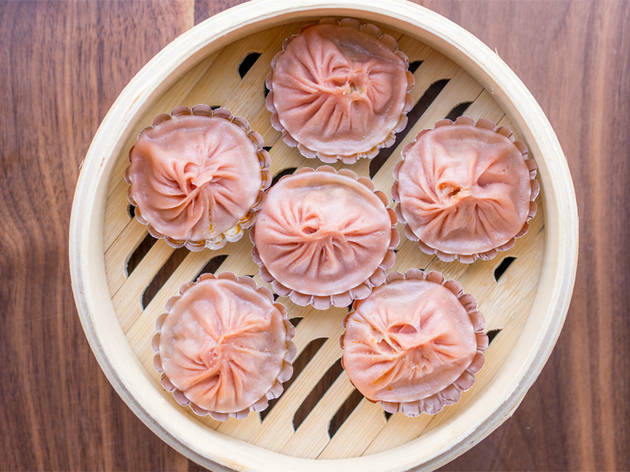 Named the King-Dum, the $10 xiao long bao is so large you’ll need a straw, while the 3 for $5 barbecue pork steamed buns with a touch of peanut butter are our new favorite affordable lunch option. And don't leave without an Instagram-able dessert bun—the colorful doughy puffs are topped with flower petals.